This downloadable handout is intended for elementary school students and adults at Elementary (A1) and Pre-intermediate (A2) level. 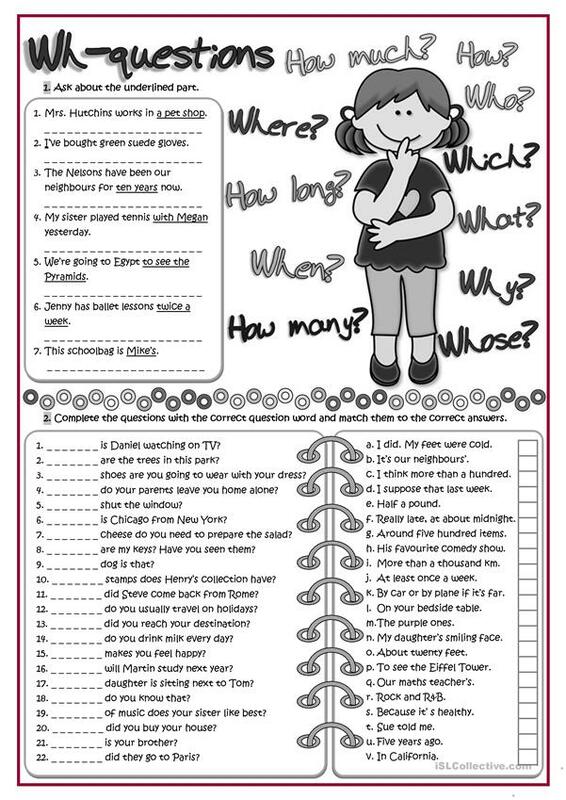 It is a useful material for teaching Questions (interrogative) and Questions: WH questions (open-ended questions) in English, and is a valuable material for developing your learners' Reading skills. There is an answer key provided with the exercises.